GBD was back at Zoe Tribe Studios recently putting the finishing touches on a couple of songs that will soon be unleashed on shocked and horrified listeners. 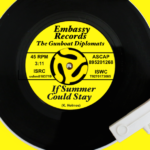 One of them will be the first tune on a cumulative compilation of songs for every occasion called “A Song For All Seasons.” For this particular number, we finally finished recording some 60s girl-group backing vocals, which certainly add a fun element and a polished luster to a pop tune. We’ve dubbed our talented backing vocalists The Diplomettes and are looking forward to introducing them to your ears. In the meantime, let’s take a look at the interesting and interconnected world of iconic 60s female background singers and the litany of great music they made. The Andantes of Detroit. Andante is a musical term that signifies a moderately slow tempo, and while singing in the church choir the pianist told them they sounded “soft and sweet,” thus dubbing them The Andantes. 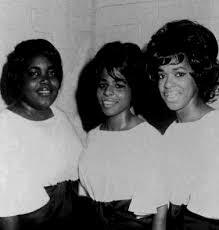 Let’s start off with The Andantes, Motown’s talented female session singers. This trio’s smooth, shimmering tone helped create the Tamla/Motown signature sound. Like The Funk Brothers (the label’s in-house session musicians), The Andantes performed on a stunning catalog of Motown hits, such as Barrett Strong’s “Money,” “My Guy” by Mary Wells, “This Old Heart Of Mine” by The Isley Brothers, “Love Child” by Diana Ross and The Supremes, Marvin Gaye’s “ I Heard It Through the Grapevine,” “Jimmie Mack” by Martha Reeves and the Vandellas, “Don’t Mess With Bill” by The Marvelettes, “What Becomes of the Broken-hearted” by Jimmy Ruffin, Stevie Wonder’s “Uptight (Everything’s Alright),” and “Ask The Lonely” by The Four Tops. (In passing, forgive us mentioning that we referenced another Four Tops song featuring The Andantes in a discussion about our own Motownish tune called “She Made A Move On My Heart.” Please excuse the shameless plug.) Before moving on, it’s undeniably clear that The Andantes were the go-to group to add that extra bit of sugar and spice to a string of smash hit records. Just as Motown had songwriting teams (Holland/Dozier/Holland, Whitfield/Strong, etc) composing hits performed by artists with in-house studio performers and recorded by a stable of producers, the New York Brill Building Sound used a nearly identical method of hit-making with songwriters such as King/Goffin and Lieber/Stoller. 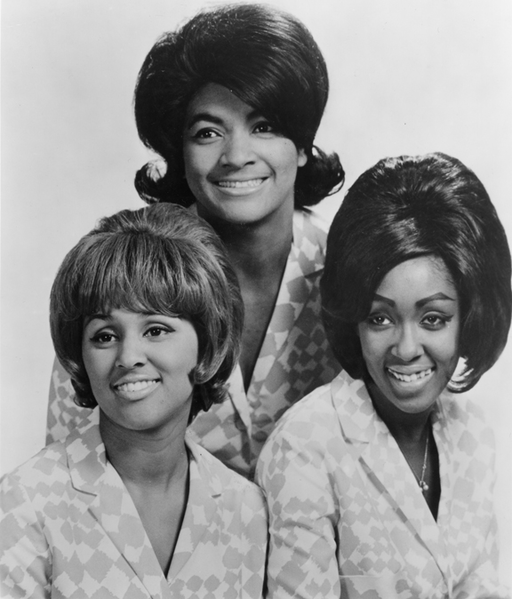 The Cookies sang backing vocals on many Brill Building hits, like Neil Sedaka’s “Breaking Up Is Hard To Do,” Little Eva’s “Loco-Motion,” and also had several hits of their own, including “Chains,” which was later covered by The Beatles. Once Ray Charles became smitten with their harmonies, he recruited them to back his band and they became The Raelettes, singing on big numbers like “Hit The Road Jack” and “What’d I Say.” Over the years, The Raelettes had many different members on the roster, including Marylin McCoo (later with The Fifth Dimension) and Merry Clayton, who sang on everything from the original version of “The Shoop Shoop Song (It’s In His Kiss)” to Lynyrd Skynyrd’s “Sweet Home Alabama” to “Gimme Shelter” by The Rolling Stones). When she left the Raelettes, Clayton moved to LA and founded the group Sisters Love, who were eventually signed by MoWest, Motown’s west coast subsidiary. Meanwhile, back at The Brill Building, producer Phil Spector was pioneering a recording technique that utilized large orchestral ensembles, including members of the crack session group The Wrecking Crew, to double and triple parts to create a Wall Of Sound. A songwriter named Sonny Bono served as Spector’s flunky at the time, and he got his girlfriend Cher a gig singing backup on Spector’s productions. Her distinctive contralto is part of the booming mix on such seminal hits as the Ronettes’ “Be My Baby” and “Baby I Love You,” the Crystals’ “Da Doo Ron Ron,” and the Righteous Brothers smash hit “You’ve Lost That Loving Feeling.” (By the way, our own Righteous Brothers tribute can be heard here. Okay, okay, no more blatant self-promotion.) Cher, of course, went on to super-star diva status and eventually recorded a cover of Merry Clayton’s “The Shoop Shoop Song (It’s In His Kiss)” with producer Peter Asher, of Peter and Gordon fame. Not only were The Sweet Inspirations sweet and inspirational, but they were Elvis Presley’s backing group for many years. And speaking of Georgia, we want to tell you about the Drinkard family, who moved from The Peach State to New Jersey in 1930. They had eight children, and the youngest grew up to be the much-sought-after session singer Cissy Houston, Whitney’s mother. Cissy was in a singing group called The Sweet Inspirations that, at one time, included her sister Lee (mother of Dionne Warwick) and Doris Troy (who later had a hit with “Just One Look”). They were a pillar of Atlantic Records soul recordings and were very much in demand as backing vocalists in the 60s and 70s, adding layers of sweet, inspirational goodness to a string of phenomenal songs, including Aretha Franklin’s “Chain Of Fools,” Dusty Springfield’s “Son of a Preacher Man,” Van Morrison’s “Brown Eyed Girl,” and Linda Ronstadt’s cover of “Dark End of the Street,” produced by the previously mentioned Peter Asher. (By the by, Linda also did her own version of “The Shoop Shoop Song (It’s In His Kiss),” ably assisted by a group of in-demand backup singers.) Oh, and here’s Cissy bringing the sweet soul inspiration to Paul Simon’s iconic “Mother and Child Reunion.” Not a bad little run, eh? The beautiful and talented backing group The Blossoms in the flower of their youth. The Blossoms were to the west coast what The Sweet Inspirations were to the east coast and the Andantes were to Motown. Along with Cher, they provided backup vocals for “Da Do Ron Ron” and “You’ve Lost That Loving Feeling” by the aforementioned Righteous Brothers. (Oh, hey! 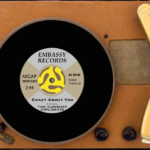 Did we mention that our Righteous Brothers tribute is available – – what? – – we already did? Oh. Well then, we now return to our regularly scheduled blog post.) 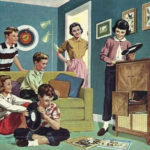 The Blossoms sang on a ridiculous variety of hit records, including Bobby “Boris” Pickett’s “Monster Mash,” Frank Sinatra’s “That’s Life,” and the definitive Betty Everett hit version of one particular song. Can you guess what it is? Yes! Once again, it’s the seemingly omnipresent “The Shoop Shoop Song (It’s In His Kiss).” The dynamic Darlene Love of The Blossoms touched on the some of the qualities that make backup singers so valuable to a production. So, we told you at the outset that our short journey through the history of 60s girl background vocalists would be “interconnected.” But who knew that “The Shoop Shoop Song (It’s In His Kiss),” and Peter and Gordon’s Peter Asher would prove to be a common element in this wondrous, winding tale? For more on the subject of the trials, tribulations and triumphs of these talented ladies, and to see them finally get some well-deserved recognition, check out the Oscar-winning 2013 film “20 Feet From Stardom.” Brava, ladies!